A lip plate, also known as a lip plug or lip disc, is a form of body modification. Increasingly larger discs (usually circular, and made from clay or wood) are inserted into a pierced hole in either the upper or lower lip, or both, thereby stretching it. The term labret (pronounced LAY-bret) denotes all kinds of pierced-lip ornaments, including plates and plugs. 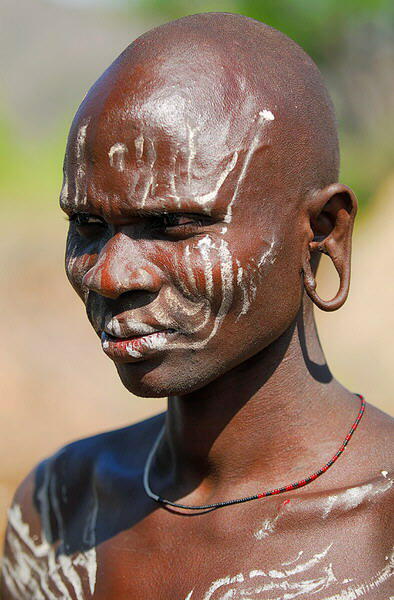 Among the Surma (own name Suri) and Mursi people of the lower Omo River valley in Ethiopia, about 6-12 months before marriage the woman's lip is pierced by her kinswomen, usually around the age of 15-18. 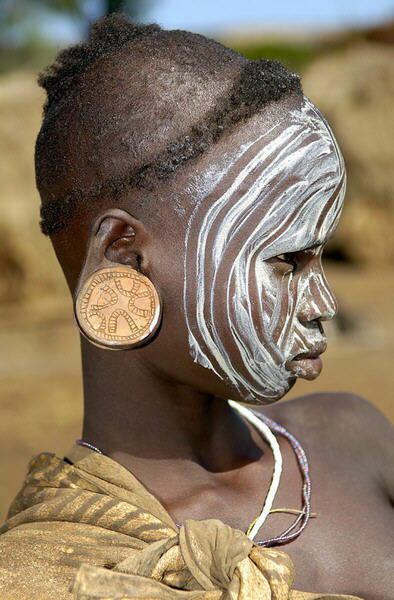 These days, it appears that Mursi girls of age 13 to 18 just decide for themselves whether they want to wear a lip plate or not. The initial piercing is done as an incision of the lower lip of 1 to 2 cm length, and a simple wooden peg is inserted. After the wound has healed, which usually takes 2 or 3 weeks, the peg is replaced with a slightly bigger one. At a diameter of about 4 cm the first lip plate made of clay is inserted. Every woman crafts her plate by herself and takes pride in including some ornamentation. A final diameter of about 8 to max about 16cm. Note, after the wedding, many stop the use of the lip plate, and the lip will shrink and wrinkle, because the skin is too big. Only vain women or the women in a harem compete for the biggest lip plate after the wedding. 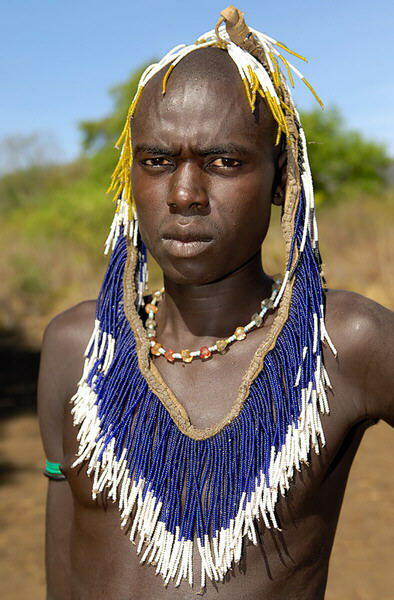 The Mursi are survivors whose isolated location combined with the crises of droughts,famine,war,migration and epidemic diseases has shaped their identities.Cattle raids and civil instability bordering between ethnic groups is merely means of survival.